This kit does not require the stator to be rewound however Baja Designs highly recommends it for better lighting potential. Please call (760) 560 2252 to have this service performed. Cost is $120, turnaround time is 3-5 working days. 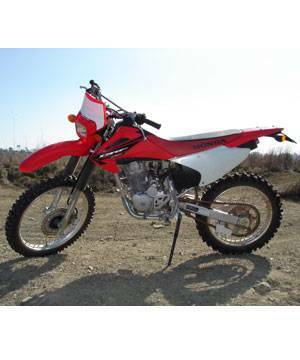 *Dual sporting off-road motorcycles is not legal in all states - check local laws before purchasing. *In addition to the dual sport kit, most states require mirror(s), DOT approved tires, & sometimes a speedometer to be fully compliant. Check local laws. NOTE: This kit will not work with the factory dual sport 2008 CRF230L.